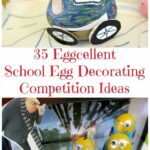 It is that time of year again – the kids have their School Egg Decorating competition coming up!!! 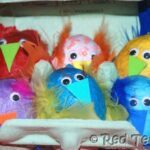 Red Ted (7rs) LOVES taking part and in the past, we have quickly whipped up something the days before and entered.. but it has taken us 3 years to figure out, that the winning Egg Decorating idea, usually is a bit more than “just a decorated egg”.. it is a proper full on eggciting eggstravagant eggstrodinary egg decorating diorama or scene… so Red Ted has been planning this year’s entry SINCE LAST YEAR!! Yep.. this is a WHOLE YEAR IN THE MAKING! 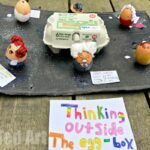 FULL SET of Photos from the School Egg Decorating Competition here! 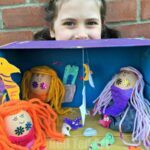 Check out all the fabulous ideas and designs! UPDATE: HE WON!!!!!!! Happy Boy! 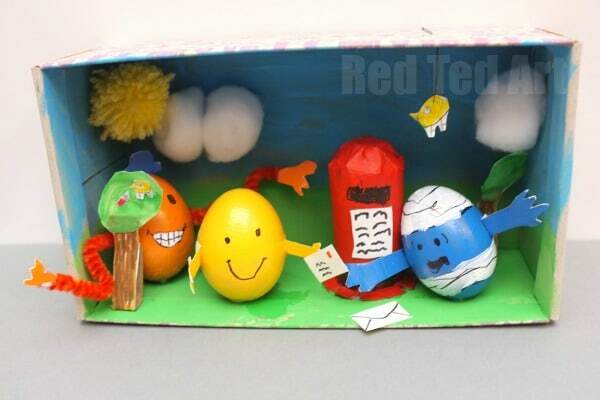 We present you, with our Mr Men Egg Decorating Diorama!!! 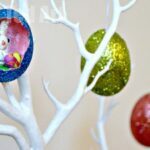 …GOOD PAINTS – they give your egg are really good finished look.. so we used these Enamel paints – the yellow needed two layers, the rest where fine with one. And it also looked great on the card! 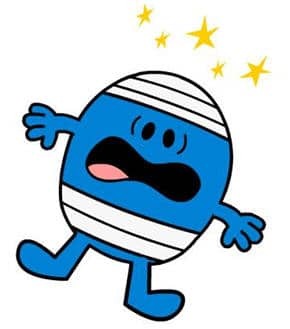 The story is about how Mr Bump bumps into the letter box (clumsy Mr Bump), whilst Mr Happy is about to be ambushed by Mr Tickle who is hiding be hind a tree…. we have a pom pom sunshine, with cotton wool clouds and birds in the trees and air. 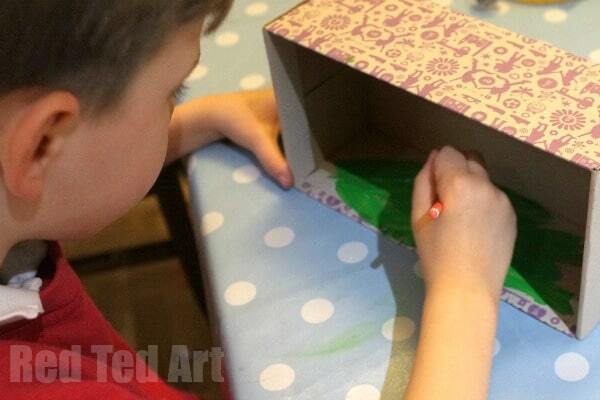 Red Ted started by painting his shoe box in green and red. 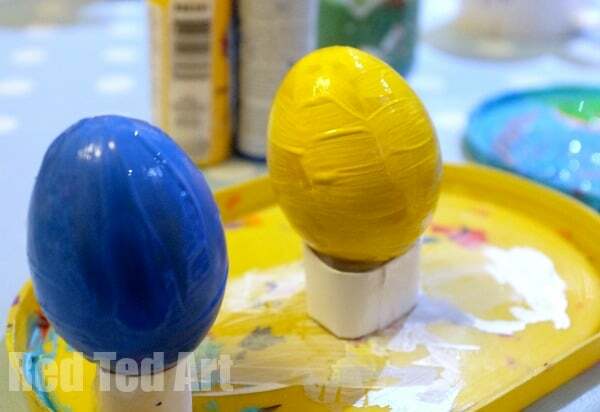 I blew some eggs out for him and we painted them blue and yellow. We used enamel paints, because we had them and they give a lovely finish. 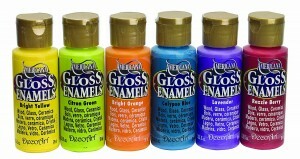 If we hadn’t had enamel paints, we would have used acrylics. Last messy, but best for WHITE eggs, would have been to dye them using food dyes. 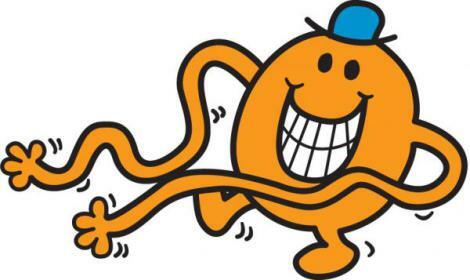 Later he decided that he also wanted a Mr Tickle, so we painted him a day later. 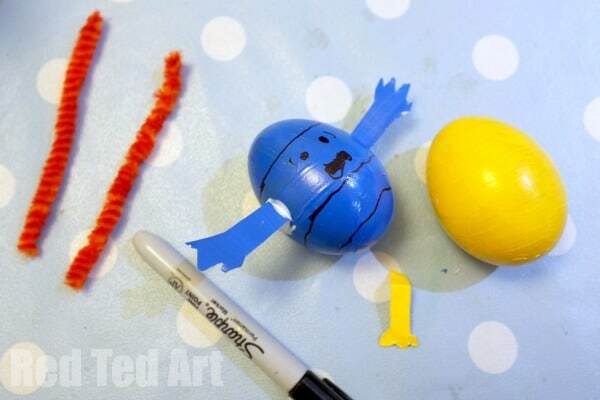 Once all our eggs were dry, we looked at adding arms and details. I added some of my enamel paints to a piece of cardboard, that Red Ted used to cut out arms and hands. 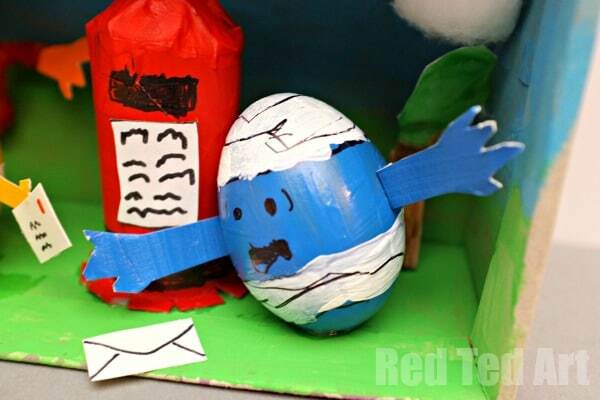 Remember to add a little extra to your arm as a “flap” that you can glue down onto your egg. For Mr Tickle we used two pipecleaner pieces. We pricked holes into the side of him using thumbtacks and glued the arms in place. 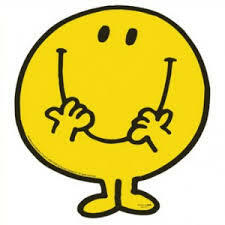 For the faces, I encouraged Red Ted to go online and look at images of Mr Men to copy. These are the images he chose and copied. I LOVE how his Mr Bump face turned out!! Well done Red Ted! We also made a Red English Post Box. We used a TP Roll, that I cut down for him and form the top using cuts and masking tape. Red Ted then painted it.. added the letter box “slit” and a writing. Finally, when everything was made, we started to stick things into place. I did help with the sticking. As a last minuted addition Red Ted gave everyone some letters to post! Brilliant, absolutely love it! 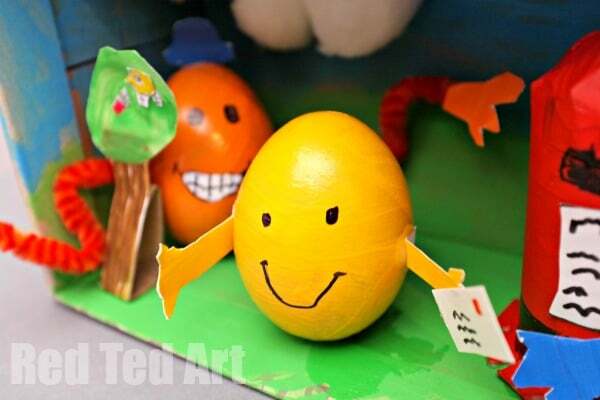 Mine are huge Mr Men fans and I would never have thought to decorate eggs as Mr Men characters. HOORAY! Please do!!! And just have lots of fun! 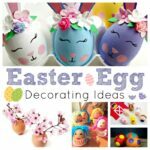 Great idea for egg decorating! Love the Mr Men background too. 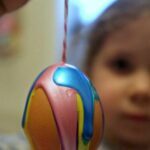 I’ve just done ladybird eggs with my little girl. We made a leafy setting out of an egg carton and felt leaves. Oh that sounds ADORABLE! 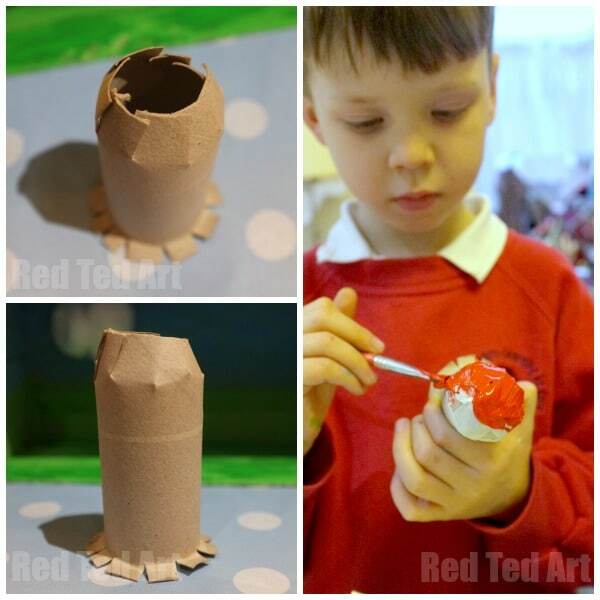 Love the idea of ladybird eggs! PS would **LOVE** to see a photo!! Put one on your blog?? Or share on my FB page? Ooh that sounds adorable! How fun!! 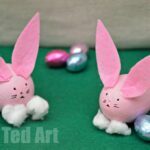 Good luck with the Egg Decorating competition!